The Menu Block allows you to create a website with drop-down menus. These interactive and dynamic menus are very handy when your website has several sub-pages. 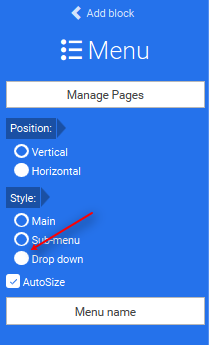 If you want to use the Menu block with the drop-down functionality, you must create sub-menus on your website (simply follow the Pages and Main Menu instructions of this guide). Go to the page My Websites and click on Modify site, then insert a Menu block. 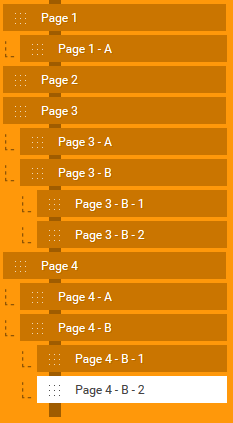 A configuration window appears and allows you to choose the pages displayed in the menu, and the pages on which the menu will appear. Once your configuration is ready, you can click on Update. 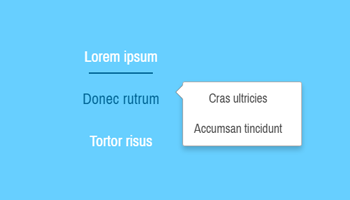 In the block properties (located on the left of website creation page), in the Style option, choose Dropdown. The size of the block is adjusted automatically. Its position can be changed by drag and dropping it using the handle on its border. 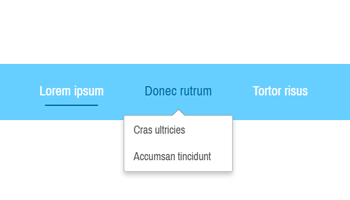 Like the menus in Principal and Sub-menu styles, drop-down menus can be displayed in Horizontal and Vertical positions.